Think of Polaris Office Business as a statement of the company's commitment to the business market. Polaris Office made the jump from the phone to the PC a few months ago, and the company has taken the next step: a version aimed at businesses. Polaris Office Business, though, is aimed less at workers than at their managers. At $6.99 per month (versus $3.99/mo. for the consumer version) the new version offers everything that the consumer version does, plus specialized management features. Note that the $6.99 monthly fee includes support for up to 15 devices, too. Admins may be interested in the capabilities to track and monitor all of the documents used by an organization, as well as optionally restricting which ones leave the company. Users, though, will find little new here save for a shared team folder where users can upload, share, and comment on documents in real time. 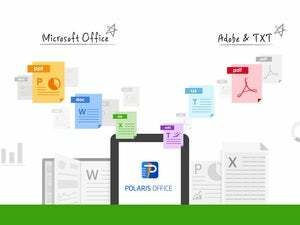 Note that real-time collaboration on documents, however, is due in a future update of the basic Polaris Office application. Why this matters: Polaris Office Business is more a statement of intent rather than a product you probably need to worry about. 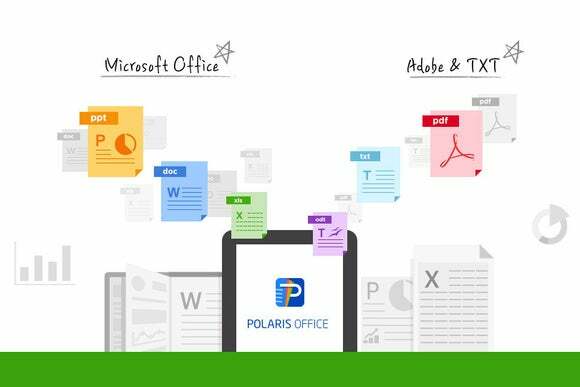 Businesses, however, care about such features as document management, which will allow Polaris a seat at the table to eventually—possibly—compete with Microsoft Office. Again, though, the overriding mission here is security. The new suite boasts an admin console, where admins can track and recall documents, and assign users various levels of authority. A new single sign-on method supports two-step verification. The console includes an activity log where an individual user’s access to various documents can be tracked, along with an alert system that can flag multiple documents being deleted. Aside from those management features, however, Polaris Office Business is essentially unchanged from the basic application. Polaris Office is also now available via the IBM Connections platform, the company added. Polaris has said previously that the Polaris roadmap includes real-time co-editing and handwriting recognition, plus Android Wear and Apple Watch support. In 2017, Polaris says that optical character recognition and handwriting editing will be integrated, too.